Kodaikanal is a beautiful and calm hill station located in the Dindigul district, Tamil Nadu. This place is blessed with numerous of attractions. The major tourist attractions of Kodikanal that you should not miss on a trip to Kodaikanal are Lutheran Church, Kodaikanal Lakes, King Church, Kodaikanal School, Coaker's walk, Devil Kitchen, Green Valley view, pine forest, Shanti Valley View, Kurinji Andavar Temple, Lake View nose and many more. If you are planning to visit this hill station from Bangalore then you would be glad to know that this hill station is quite close to Bangalore. Kodaikanal is around 480 Kms from Bangalore. Bangalore to Kodaikanal is 12 hour road journey.For travellind Banglore to Kodaikanal, you can take bus. There is plenty of bus service available for Banglore to Kodaikanal. KPN, KSRTC and Sharma buses usually depart from Bangalore late evening and reches to Kodaikanal next morning. You can book a taxi for Bangalore to Kodaikanal. Kodaikanal is famous hill station of India which is strategically located in the Dindigul district, Tamil Nadu. This calm and beautiful hill station is popular as the Princess of Hill stations. The beauty of this hill station lures many tourists every year from all over the world. The fresh air, beautiful lakes, lush green woods, rocks, meadows, and the attractive waterfalls are the main features of Kodaikanal. This hill station is rich with natural scenic beauty which makes it a romantic destination for honeymoon. If you are looking for romantic place to have honeymoon in India then you can consider Kodaikanal. You will surely have the most memorable time with beloved in Kodaikanal. If you are looking forward to spend your coming vacation at this hill station then you must get a Kodaikanal special tour packages which is available at TravelHot. Kodaikanal special tour packages will make your trip to Kodaikanal hassle free and full of fun. By getting tour package, you will be able to explore more things at the hill station and as a result you will have more enjoyable vacations. Versatile packages for Kodaikanal are available here that are designed keeping in mind everyone’s expectations, so you will surely get the desired package for Kodaikanal here. South India is one of the famous regions of India that attracts tourist from all over the world. This region is the most blessed region of India. The main features of South India are thick forests, dense rivers, hills, beautiful beaches, backwaters and sparkling streams. If you are planning a trip to hill stations in Southern India then you would be glad to know that this region is blessed with some of the beautiful hill stations – Coonoor, Anantagiri, Nandi, Horsley, peermade, Ooty and many more. Wildlife lovers can have great time on their trip to South India. Some of the famous wildlife destinations of South India are Chinnar Wildlife Sanctuary, Bandipur Wildlife Sanctuary, Idukki Wildlife Sanctuary, Mudumalai Wildlife Sanctuary, Periyar Wildlife Sanctuary, Dandeli Wildlife Sanctuary and many more. If you are planning to go to South India to indulge in adventure activities then you can visit places like Andaman, Kerala, Lakshadweep Island Pondicherry and Kerala. You can make your trip to South India hassle free by getting a South India tour package booked from Travelhot. Versatile tour packages are available here and you will surely get the desired tour package here. 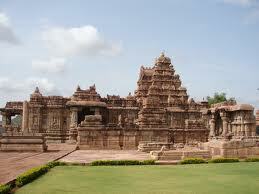 You can also get tour package to South India customized at TravelHot. 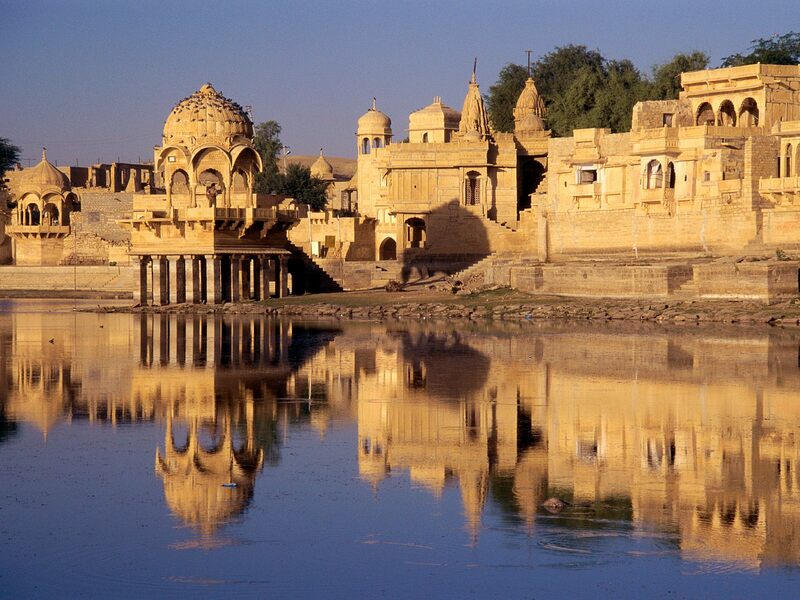 India is one of the most vibrant countries which have lots of historical places. 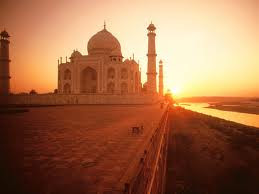 The historical places of India are so fascinating that they attract many tourists every year from all over the world. Some of the places that you must visit on your trip to India to get a feel of its history are Jaipur, Agra, Delhi, Bikaner, Jhalawar, Sariska, Khajuraho, Jodhpur, Udaipur, Nasik, Nagpur, Kota, Pali, Alwar, Hampi, Wardha, Mysore, Madurai, Jaisalmer, Pokran, Warangal, Sojat City Chidambaram and many more. 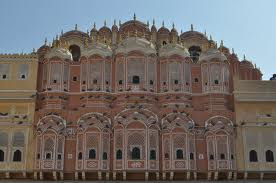 The rich heritage and culture of India can be seen in the form of numerous historical places that are spread all over. 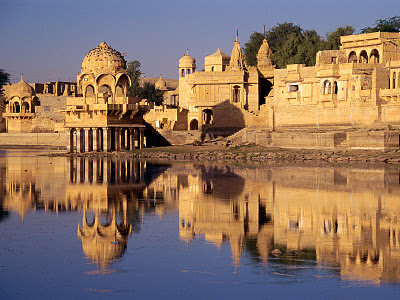 The Historical places of India not attracts people within India, but also people from across the globe find the historical places of India exciting. 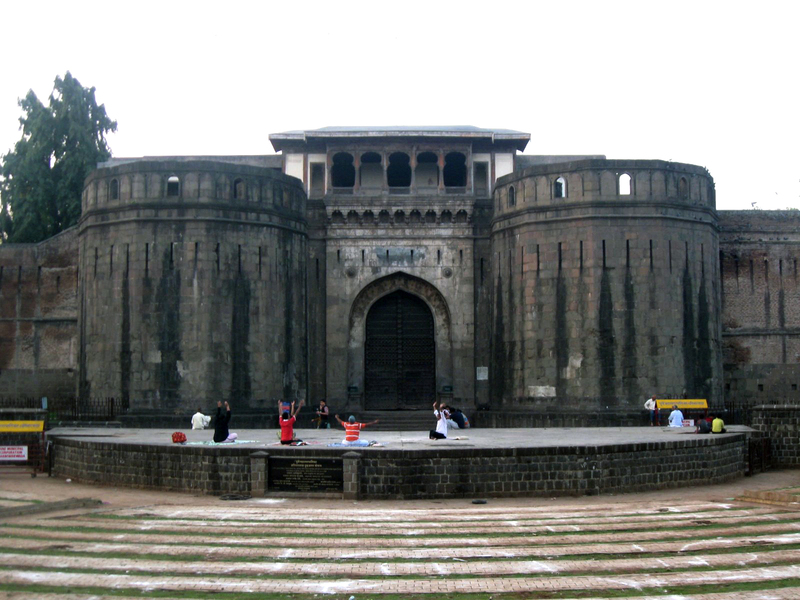 Historical monument and stories associated with them attracts many tourists to India. The historical monuments in India are spread in such a manner that you will find an attractive historical place at every nook of the nation. If you are history lover and planning to visit India then I must tell you have chosen a perfect destination for your vacation. Here you will find many attractive historical masterpieces with interesting stories associated with it. If you are planning a trip to international place in coming vacation then I must tell you it’s a superb idea. International holidays will give you an opportunity to witness diverse cultures and lifestyles across the globe. Finding the best international holiday packages for your vacation will help you plan your trip more efficiently. Also it will give you a chance to experience a lot more things in a shorter period of time and as a result you will have more enjoyable holidays. Travelhot, one of the renowned travel booking sites has come up with great international holiday packages. Here you will get wide range of International holiday packages that are designed keeping in mind everyone’s expectations. The international holiday packages that are available here are for various places like Bhutan, Dubai, Europe, Hong Kong, Malaysia, New Zealand, Nepal, Singapore and Thailand. By getting your International holiday packaged booked from this site, you can make your trip to any of the International place memorable and full of fun. You can also get your International package customized in which you get a chance to choose number of days, accommodation types and sightseeing options of your own. These packages are specially designed to ensure you have the best time at value for your money. Thailand is a famous tourist destination that attracts tourists from all over the world. The nightlife of Thailand is incredible and offers array of diverse array of night activities that will amaze you. There are lots of night activities to indulge in on your trip to Thailand. On your trip to Thailand, if you are confused to where to go at night in Thailand, then you must visit Phuket. 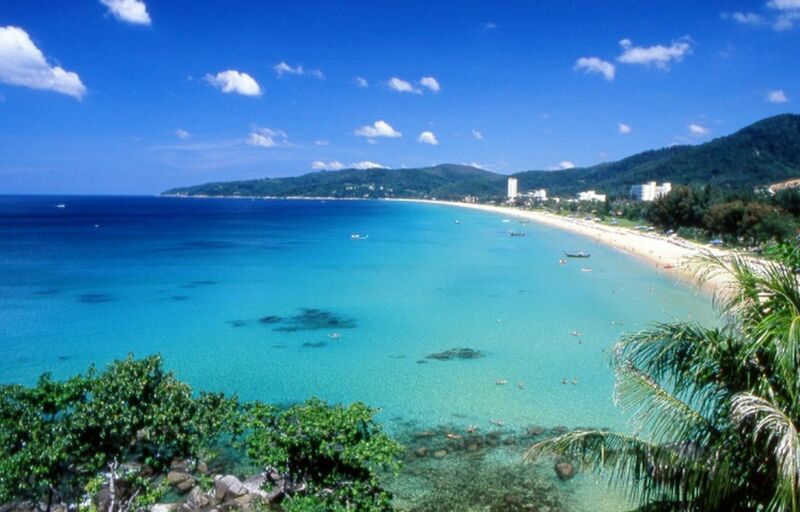 Phuket, the largest island of Thailand is another famous destination for nightlife. Phuket nightlife is must to experience in a lifetime. Here we have discussed the major places to go at night in Phuket. All the nightclubs of Phuket are perfect to spend your night in Phuket. At this place, you will get various pubs and bars where you can enjoy a drink. You can also visit the larger resort areas such as Patong or Karon for a more vibrant atmosphere. There are a number of options for night fun in Phuket and Thailand. These places are famous with party animals as they have many discos and clubs. So when you come to Thailand don’t forget to experience Phuket nightlife and nightlife of Thailand. Every night in Thailand is a party time which is must to experience once in a lifetime. 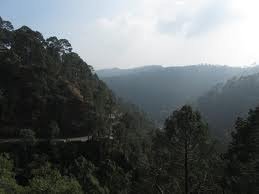 Nainital is a famous hill station in Uttaranchal that attracts many tourists every year. The main features of Nainital are its natural beauty, spectacular natural sight and it includes many activities to indulge in. It is located at an altitude of 6,358 feet above sea level and is divided in two parts. The lake works as the natural divider and divides the Nainital in two parts. The Southern part of the lake is known as Mallital and the upper reaches of the northern side is known as Tallital. If you are planning to visit this hill station in Uttaranchal and doesn’t know how to reach then I must tell you that it is very easy to reach. The road network of Nainital is really good and you there are plenty of trains that are available. Also the presence of airport in Nainital has made it easier for people to commute from Delhi to Nainital. Now people of Delhi can easily travel to Nainital. The only airport in Nainital is Pant Nagar Airport. You can reach Nainital from Delhi by road. There are many buses that are operated by Uttaranchal Roadways. These buses take around 7 to 8 hours to reach Nainital from Delhi. You can travel to Nainital from Delhi by train as well. Train journey from Delhi to Nainital will be the most comfortable and cheapest mode to reach Nainital. Maldives four season resorts in Kuda Hurra is one of the first luxury resorts to open in Maldives which is popular for its superb facilities and services. This resort is set on a private coral island and is designed like a Maldivian village. This resort is beautifully decorated and well equipped with modern amenities. It is well furnished resort in a modern typical style and is designed in such a way to complement the garden surrounding. The resort includes 96 pavilions and bungalows each room is well equipped with air conditioning, tea/ coffee making facilities, ceiling fan, mini bar, bath and shower, television and DVD/CD player and sun deck with daybed. All rooms of this resort are spacious and beautifully decorated. The design of the beach and water bungalows at Four Seasons Resorts Maldives will leave you spell bound. If you decide to have a five star stay on your holidays in Maldives, you can stay at Four Seasons Resorts Maldives. It is a fabulous place to stay. Also the food of this place is delicious and worth trying once in a lifetime. At this resort, guests are invited to indulge in variety of cultural events to explore more about the traditional Maldivian culture through the arts, music. Craft making and dance. If you are looking for a tourist destination which is perfect on the parameters of natural beauty then India is a perfect option for you. India, a land of natural beauty includes many hill stations. India’s hill stations make it an exquisitely beautiful tourist destination. There are numerous hill stations in India that attracts many tourists every year. Some of the famous hill stations of India are Munnar, Nainital, Mount Abu, Dehradun, Shimla, Ooty, Ladakh, Leh, Mussorie, Chail, Shillong, Coorg, kasauli, Lahaul and Spiti, Dharamshala, Munnar, Kodaikanal and many more. These hill stations of India are widely visited by tourists from all over the world. Here tourist love to indulge in activities like river rafting, hiking, surfing, mountaineering, mountain biking, trekking, relaxing and many other activities. No matter whether you are planning a trip to hill station with family, friends or alone, you will have a great time. The hill stations of India have lot to offer to its tourist. All the hill stations of India are well connected by rail, road and air transport from major cities due to their popularity. If you are planning a trip to any of the hill station of India, then you can check tour packages for hill stations of India at TravelHot in order to make your trip hassle free. If you are looking for a tourist destination in India where you can relax and indulge in adventure activities at the same time then Kerala is a perfect tourist destination for you. The beaches, houseboats, backwaters, national parks are the major attraction of Kerala that attracts many tourists from all over the world. You can travel to Kerala which includes many attractions to entertain its tourists. If you are panning holidays in Kerala and are looking for some great holiday packages for Kerala then you have come at the right place. 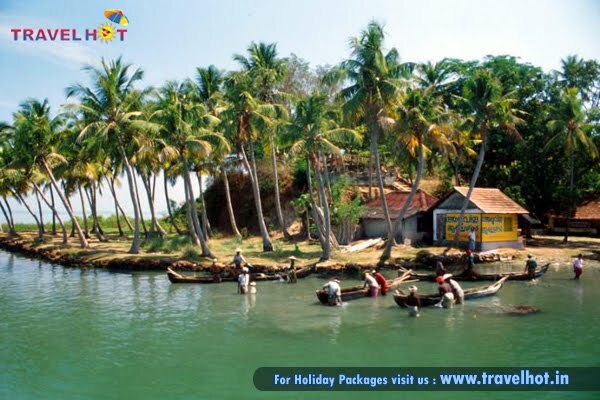 TravelHot, one of the leading travel booking sites offers attractive holiday packages for Kerala to serve its customers with. The Kerala tour packages at TravelHot include all the basic requirements like accommodation, meals, sightseeing and much more. The rate of Kerala Travel packages varies according to number of days, accommodation option, sightseeing places and other services that are being included in the package you choose. You may choose a budget holiday package or Luxury holiday package to Kerala. The travel packages at TravelHot are designed keeping in mind expectations of different people. Customized holiday packages for Kerala are also available here. Customers can choose accommodation option, sightseeing options and other inclusions on their own in customized Kerala holiday packages. Kerala honeymoon packages are also available here and are considered as best way to plan and book your honeymoon. If you are looking for a beautiful hill station where you can spend your vacations then you can consider Kodaikanal. 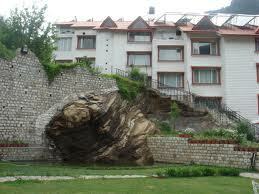 It is a Small, beautiful and calm hill station that attracts tourists from all over the world. This stunning hill station is located in the Dindigul district, Tamil Nadu. Kodaikanal is commonly known as the 'Princess of Hill stations'. This name of this hill station is derives from two Tamil words, Kodai which means 'summer' and Kanal which means 'Dream'. Kodaikanal is a famous hill station in South India. If you are planning a trip to Kodaikanal then you can check Kodaikanal tour packages at TravelHot. Here you will get versatile Kodaikanal tour packages that are designed keeping in mind everyone’s expectations. 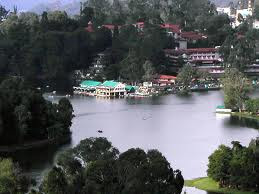 Due to immense touristy crowd in the hill station, Kodaikanal has wide range of hotels. There are many varieties of Kodaikanal hotels ranging from budget hotels to executive deluxe hotels to suit everyone’s expectations in terms of services and budget. Hill Country Holiday Resort Kodaikanal is a famous resort in Kodaikanal. You can stay at this resort on your trip to Kodaikanal. This beautiful resort is located just 4 kilometers from the famous Kodai Lake in Attuvampatty. The nearest airport to Hill Country Holiday Resort is in Madurai which is about 125 kilometers away. You can stay at this resort on your trip to Kodaikanal. Kanyakumari is an incredible tourist destination in India that attracts tourists from all over the world. This famous tourist destination is blessed with beautiful beaches, enticing scenery, exotic views and much more than you can imagine. The beaches of this place are also famous and make major attractions in Kanyakumari. Though the beaches of Kanyakumari are not considered safe for swimming, however you can relax on the sea shores and enjoy the sunsets and sunrises. Multicolored sand on the beaches of Kanyakumari is one of the major attractions in Kanyakumari. This place has been a centre for pilgrimage as it includes many temples. The Alvar Tirunagari Temple is one of famous tourist attractions of Kanyakumari. This temple is built in honor of the first Jain Thirthankara- Lorrd Adinath. 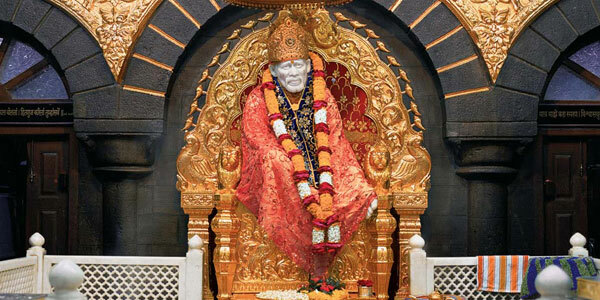 It attracts tourists from all over the world as it holds lot of religious importance. Kumari Amman temple is other famous tourist attraction of Kanyakumari Temple. This beautiful temple is located overlooking the shore. 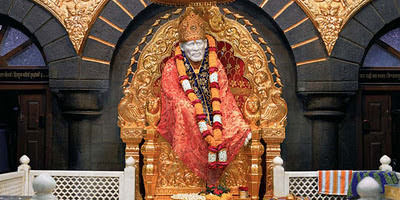 This temple holds lot of religious importance and attracts people from all over the world. It is open for public to offer prayer daily from 4:30 a.m. to 11:45 a.m. and 5:30 p.m. to 8:30 p.m. Kanyakumari is a place which is blessed with numerous tourist attractions and temples that are worth visiting once in a lifetime. 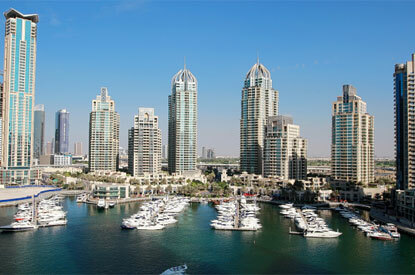 Dubai is a popular tourist destination that attracts tourists from all over the world. This tourist destination is blessed with loads of places to visit, shop and experience. This beautiful destination is famous for its innate beauty and charm. A long list of sightseeing options awaits you once you reach Dubai. If you are planning to travel to Dubai in coming vacations and don’t have any idea about Dubai sightseeing option then this blog might be helpful for you. There are loads of sightseeing options that you could check out on your trip to Dubai. On your trip to Dubai, you can visit famous Burj Khalifa Tower, which is the tallest building in the world. Other famous sightseeing options to visit in Dubai are Wild Wadi Water Park, The Grand Mosque of Dubai, Ski Dubai and the places around Dubai Creek. The above account includes only the names of the popular Dubai sightseeing option lessening your problem of what to see in Dubai. You can check Dubai tour packages at TravelHot in order to have hassle free holidays in Dubai. TravelHot offers the best of travel and stay arreangement. They ensure to provide the best accommodations with all the comforts. So, be quick and plan up your holidays in Dubai with TravelHot. 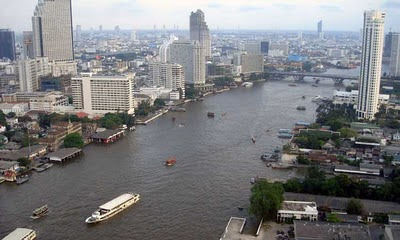 Bangkok is a famous tourist destination in Thailand that attracts tourists from all over the world. While the sun goes down, the Bangkok still sparkle, not with sunshine but with the bright lights of the dance clubs in Bangkok. There are lots of night activities to indulge in on your trip to Bangkok. Bangkok is mainly famous for its hot and happening night life. On your trip to Bangkok, if you are confused to where to go at night in Bangkok, then you have landed up at a right place. Here we have discussed some of the major places to go at night in Bangkok. All the nightclubs of Bangkok are perfect to spend your night in Bangkok. The night clubs in Bangkok try to make the nightlife of Bangkok happening by organizing theme nights, inviting DJs and singers from other places, serving nice food and playing rocking music. Another interesting way to spend a night in Bangkok is to chill out with your friends or get cozy with your partner at good movies hall in Bangkok. Bangkok has number of cinema halls. There are number of options to enjoy Bangkok nightlife. Bangkok is a perfect destination for party animals. So whenever you come to Bangkok, don’t forget top experience happening nightlife of Bangkok. Goa is famous beach destination in India. Every year around 2 million tourists visit Goa from all over the world. The silver and golden beaches of Goa are really sparkling and attract tourists from all over the world. There are around 50 beaches in Goa and it becomes difficult for a tourist to completely visit all the beaches in a single visit. 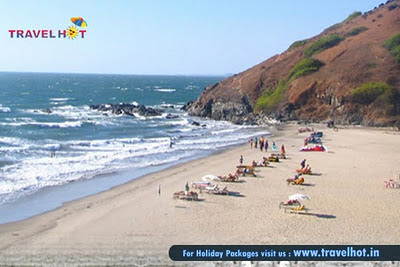 If you are panning holidays in Goa and don’t know what all beaches to see in Goa the following account will assist you. This article includes some of the famous beaches of Goa. These are some of the best beaches of Goa that are must to visit on a trip to Goa. In addition to these beaches, there are some more beaches that are also beautiful and worth a visit are Bambolin beach, Arambol beach, Benaulim beach, Calanguete beach, Palolem beach and Morjim beach. If you are a beaches lover and want to plan up a trip at a place that is full of beaches then there cannot be a better place than Goa.